A team of scientists, led by Dr. Tremaine Gregory from the Smithsonian Conservation Biology Institute, worked with a pipeline construction company to preserve the branches of large trees that connected over the pipeline clearing forming natural canopy bridges in the Lower Urubamba Region of Peru. For a year, the researchers used camera traps in the bridges to monitor their use, and it didn't take long for an unexpected animal to appear in the photographs: a tiny porcupine weighing just 770g. 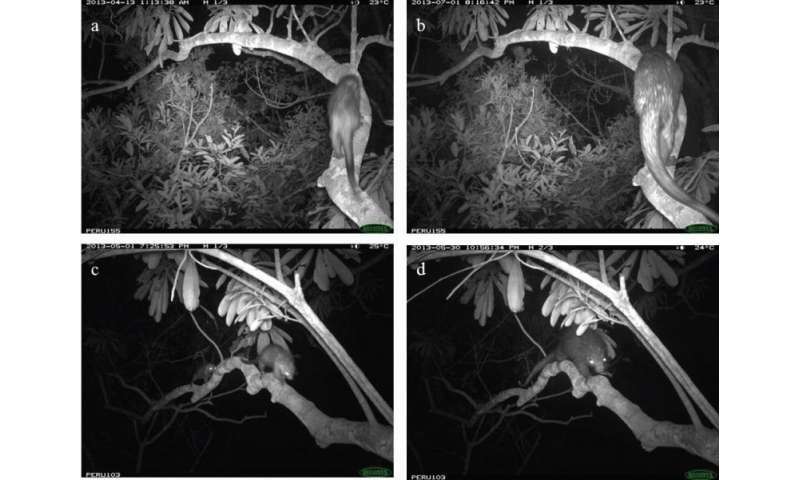 Curiously, the small mammals appeared to be unable to leap across canopy gaps, choosing only well-connected bridges. The finding was published in the open-access journal ZooKeys, and funding and logistical support for this canopy bridge study were provided by Repsol Exploración Perú. Similar to a road, a natural gas pipeline clearing in the tropical forest presents a problem for arboreal animals, like monkeys, whose paws never touch the ground. They need to either take a chance and dare to cross the clearing on the ground or remain safely in the canopy while losing access to the resources on the other side. The researchers decided to test the utility of a solution to this problem: natural canopy bridges. "When my colleague, Farah Carrasco-Rueda, and I saw this species for the first time in the camera trap photos, we were confused," said Dr. Gregory. "The animals were much smaller than the species known to exist in the area, but they didn't seem to be youngsters." Because no dwarf porcupines are known to the region, as the bridge monitoring project came to a close, the researchers opted to collect one individual. 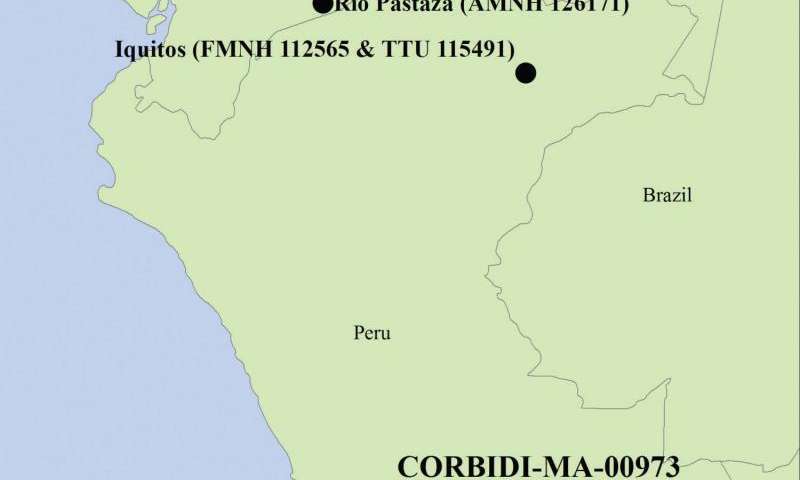 After a careful identification process, they determined that the animals belong to a species known to exist only as far south as Iquitos, Peru, 900 km to the north. The camera trap photos revealed the species not only to be present but also to be quite abundant, with 17 individuals revealed in the photos. This species was described just over a decade ago, and previously, knowledge of the species came from only 5 specimens collected over the past century, while behavioral information could only be deduced from a single live specimen observed. However, in this study, the researchers found camera trapping to be a successful method to study them, with the porcupines even developing an apparent affinity for the cameras. "At one point we began to have problems with the cameras. When we checked them, we found many of them opened and exposed to the tropical weather. After reviewing the photos, we realized it was the porcupines inadvertently opening them when they came to gnaw on them!" The behavioral information gathered in this study from over 2,000 camera trap photos provides new insight into the lives of these tiny, spiny creatures.